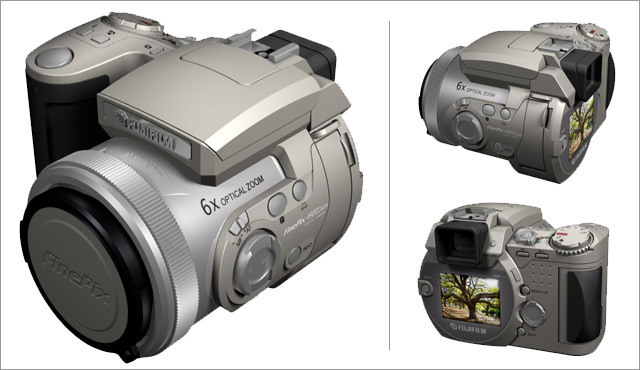 A 3d model was made in Solidworks based on an actual camera as an excercise in modeling and rendering. Custom textures were made using Illustrator and Photoshop and the final renderings were made in Alias Studio Tools. The entire project and all the final images were made entirely from scratch using digital tools.